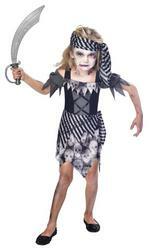 Your little girl will be sailing around the world in style when she's wearing this pirate fancy dress costume. 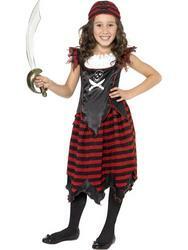 Included with the spooky nautical costume is a red coloured layered dress decorated with black stripes, short jagged sleeves, a cute frill detailing to the neckline and a black and white printed skull and cross bones design to the chest. 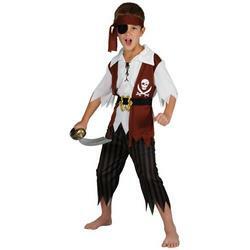 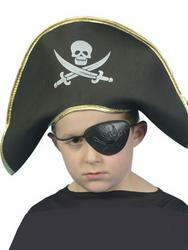 Completing the gothic pirate fancy dress costume is a red and black striped bandana decorated with a black skull and cross bones print. 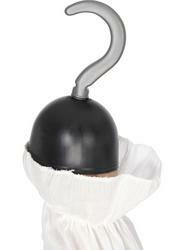 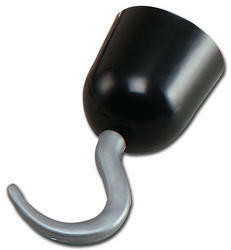 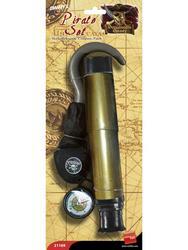 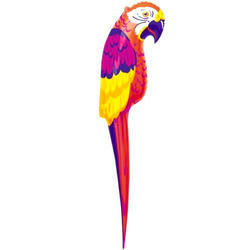 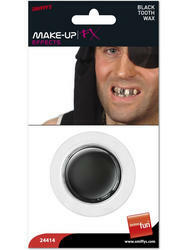 Great for wearing to a pirate fancy dress costume or for Halloween.